Today I'm featuring Just What kind of Mother Are You? by Paula Daly, borrowed from the library. Beginning: He arrives with time to spare. Reverse-parking, he gets out and the cold hits him. Slapping him hard in the face and stinging his skin. He smells good. Expensive. He's parked a few hundred yards from the school at the viewing point. On a clear day there's an uninterrupted vista across the lake, over to the mountains beyond. In better weather there'd be an ice cream van, Japanese tourists taking photographs. Not today, though. Not with the clouds so low in the sky, and not with the autumn darkness fast approaching. Page 56: "I felt like a total idiot as they turned around, their broad smiles not matching the alarmed look in their eyes as they regarded first me, and then Joe." My thoughts: When young girls start disappearing in England's Lake District, the town's residents are understandably on edge. As several of them come under closer scrutiny, it is apparent that there are many secrets being kept and that there is darkness beneath placid exteriors. It's a race against time to find and stop the abductor in this debut page-turning thriller. From Goodreads: Lisa Kallisto—overwhelmed working mother—is the not-so-perfect model of the modern woman. She holds down a busy job running an animal shelter, she cares for three demanding children, and she worries that her marriage isn’t getting enough attention. During an impossibly hectic week, Lisa takes her eye off the ball for a moment and her world descends into a living nightmare. Not only is her best friend’s thirteen-year-old daughter missing, but it’s Lisa’s fault. To make matters worse, Lucinda is the second teenage girl to disappear within the past two weeks. The first one turned up stripped bare and abandoned on the main street after a horrible ordeal. Wracked with guilt over her mistake, and after having been publicly blamed by Lucinda’s family, Lisa sets out to right the wrong. As she begins digging under the surface, Lisa learns that everything is not quite what it first appears to be. 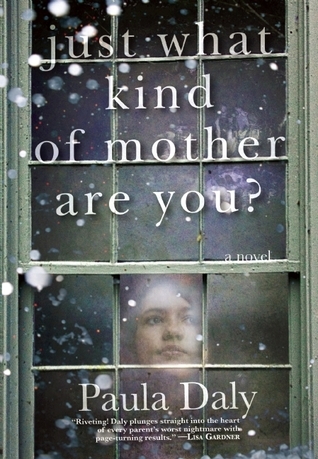 In Paula Daly’s heart-stopping debut novel, motherhood, marriage, and friendship are tested when a string of abductions tear through a small-town community. 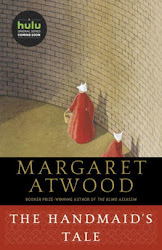 Gripping and fast-paced, Just What Kind of Mother Are You? introduces an outstanding new thriller writer with a terrifying imagination for the horrors that lurk in everyday lives. Friday Focus: The Friday 56 & Book Beginnings #98 was originally published by Catherine for bookclublibrarian.com. This post cannot be republished without attribution. Retweeting and sharing on Google+ are encouraged and appreciated.